According to estimates, banks collected cash deposit of more than Rs 4 lakh crores in the week following the demonetization of Rs 500 and Rs 1000 currency notes announcement by the Indian government. While people still wait to get their scrapped 500 and 1000 rupee notes replaced by new 500 and 2000 rupee notes, many are wondering what this move will do to their deposits, loans and investments. Subsequent to the demonetization move by the government, all of the Indian citizens are showing up in large numbers at various banks to deposit money in their accounts. Most of this cash is being deposited in savings bank accounts and banks usually pay you about 4 percent interest annually on these accounts. Getting money via savings bank accounts is low cost deposit for banks since they pay less interest on them. And with the demonetization of large currency notes, banks are now getting a lot of money. With this, banks can further lend money to people as they apply for home loans. This high liquidity in banks means that the home loan interest rates will be cut down tremendously. Banks or lending institutions are generally expected to bring about huge deposits growth. 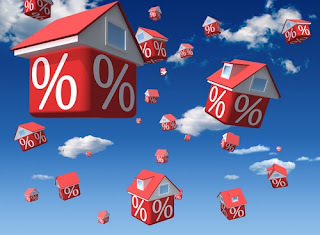 This will knock down the borrowing cost for banks, ergo the benefits are passed on to the consumers who avail home loans from banks in the form of reduced interest rates. Since banks nowadays are acquiring a lot of money through savings bank accounts, there is no requirement for your fixed deposits. The simple math is that banks would rather pay 4 percent interest on savings accounts than around 7 percent interest on fixed deposits. Therefore, various banks are now dropping interest rates on fixed deposits, which means lending rates are expected to come down as well. Most deposits are coming from savings bank accounts and banks are paying less interest on fixed deposits to consumers, allowing them to lend at lower rates with high liquidity. So, you can expect the EMI on your home loans to drop down notably in coming 3 to 6 months. This is definitely a relief for people who are paying EMIs or planning to obtain home loans in coming months.